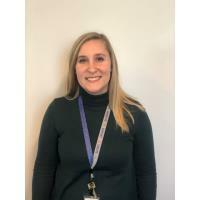 Service Credit Union (SCU) is pleased to announce that Hayley Brannan, most recently assistant manager of the company’s Contact Center, has been promoted to Contact Center Manager. Brannan joined SCU in 2010 and has a history of member service experience stemming back to 2008. She has grown with SCU throughout her career, working the overnight, evening and day shifts. In her new role, she will oversee about 45 individuals at Service Credit Union’s Portsmouth headquarters. Her primary responsibilities will be member services, administrative duties, memberships and mail. Brannan is currently pursuing a B.S. in economics and finance at Southern New Hampshire University.